This interactive presentation contains the latest oil & gas production data from 19000 horizontal wells in the Eagle Ford region (TRRC districts 1-4), that started producing since 2010, through April 2017. In previous posts I also included TRRC district 5 in this dataset, but since few Eagle Ford wells are actually located there, I’ve removed it. This change explains the very small drop in total production, in comparison with the post last month. Oil production has stabilized since a year ago at a level of about 1.1 million barrels of oil per day, while gas production is still modestly falling. As the orange area shows, production from wells prior to 2015 declined from a peak rate of 1.6 million bo/d in December 2014, to 400 thousand bo/d in April this year. This 75% decline is larger than the same metric for North Dakota, which is just below 60%. With horizontal laterals about 5% larger, and proppant volumes up more than 15% compared with the year before, wells that started production in 2017 achieved again a higher initial production rate than earlier wells, as the “Well quality” tab shows. As I wanted to show something new, the presentation starts this time with a map that reveals almost all (for 83% of the wells) the horizontal laterals. I have Karnes county selected, but you can use the “Select county” menu to choose other counties. Tooltips are available that show much more info, such as that many of these wells have a vertical depth of about 2 miles. This experimental overview is just one of the possible uses of the new data structure that will be released in the coming week. The familiar, and popular, “Ultimate Recovery” overview is available in the 2nd tab, where the production rate of all these horizontal wells is averaged by the quarter in which production started. Early next week I will have a new post on the Permian, followed by one on all the 10 states I cover. As there is no longer a daily OilPro mail going around, if you depended on that, and still would like to receive a notification whenever a new post is published here, just fill in your email address here. Texas RRC. Individual well profiles are estimated from well status & lease production data, as this data is not provided by the RRC. Detailed location data is available for more than 99% of the wells displayed; the remaining wells are shown near the center of the county in which they are located. I’ve no spud, DUC, or plugging information on wells in Texas, so these statuses are unavailable. 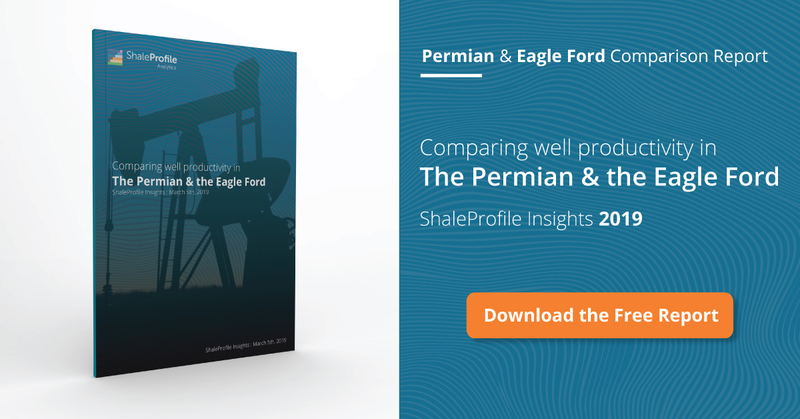 Formation data in Texas is only available on lease level; therefore, in cases where wells on the same lease are drilled in different formations, this information is not accurate.